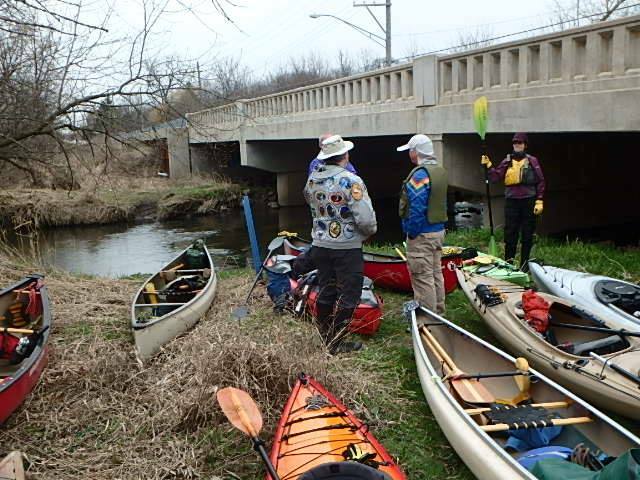 Keeping up a popular tradition, PSC paddlers enjoyed a fine outing on the West Branch. Through the twisting channels of the Timber Ridge Forest Preserve we found good water levels and no log jams, just a few spots of deadfall that kayaks and canoes easily slipped over, under or around. Eleven paddlers included 5 canoes and 6 kayaks, old-timers and new members some meeting for the first time. At the Lions Park shelter in Winfield the menu was a short one: Soup. Once again, Steve LaPorte did the honors of mixing the delicious batch of ingredients carried in by the paddlers. The final concoction is never the same, but always a treat! 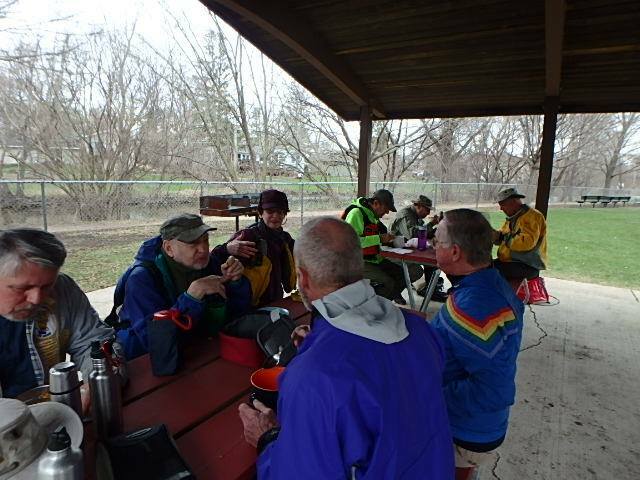 A light rain signaled the end of lunch, but spirits weren’t dampened. We were soon paddling beneath clear skies along the edges of West DuPage Woods and enjoying the little riffles of Blackwell Forest Preserve en route to our take-out at the Mack Road canoe landing. West Chicago gauge: 45 cfs at 4.1 feet.